Sweet Potato Gnocchi is about to happen in your life. Get ready. I started a dinner club a few years ago (gah! seriously feels like yesterday 👵🏼) and for this dinner club, every month, 6 friends + my happy self get together for a night of wine, appetizers, and amazing homemade food. We’re talking the type of food that we all maybe wouldn’t normally make for our families or for our regular weeknight selves, but that can be fully embraced and appreciated when we are with our foodie friends. About a year ago, I learned the basics of making gnocchi at a blog related event, and I came home and said: listen up, dinner club -> we need to make gnocchi together. I am not exaggerating when I say that our gnocchi night from last year is STILL the talk of our dinner club. It will never ever be topped, unless it’s topped by another gnocchi night, which is likely to happen before the end of the year. There were platters upon platters of that pillowy potato gnocchi, and simmering pots of tangy bolognese and creamy marsala mushroom and zippy pesto sauces that still live right at the surface of our food dreams. It was a girls’ night gnocchi event that bordered on otherworldly. Superfood vegetables tasting ahhmazing (hello sweet potato and broccoli rabe). As with most recipes that I make, I like them to be NOT OVERWHELMING. With the fancy gnocchi night, I boiled, dried, rested, cooled, and riced the potatoes before mixing. That was a different time. This time we are literally just baking in the microwave. Okay? Can you get on board with me here? Just bake that little sweet potater in your micro for speed and ease, mix it with the ricotta, Parm, and flour, and form into cute little gnocchi. Boil them till they float, and voila. Gnocchi. These gnocchi are sturdy enough to stand up to the sage-garlic-butter-pan-frying situation that follows, which is exactly what I wanted them to be: golden and crispy on the outside, and soft and loverly on the inside. 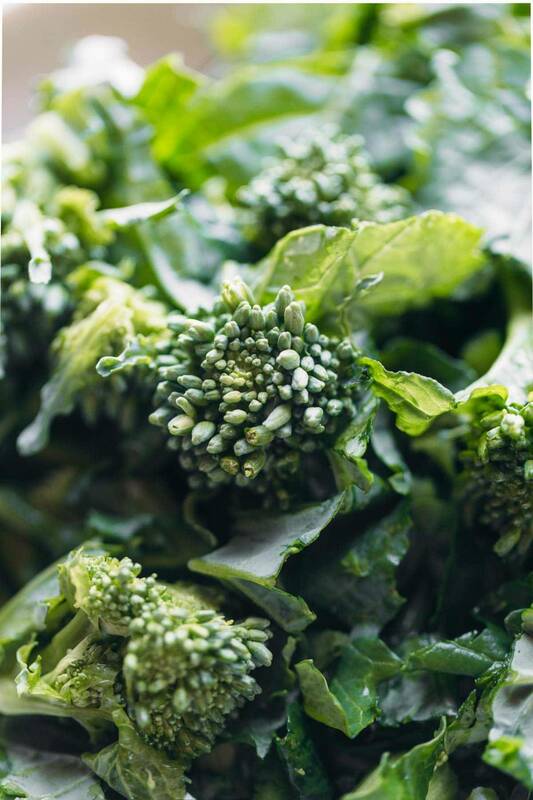 To avoid getting overly sweet (and to throw some powerhouse nutrition in the mix), we are serving this up with broccoli rabe – blanched to tender-crisp perfection before getting tossed in to the magic of that saute pan. In addition to being a SUPER HEALTHY power ingredient, I loved using broccoli rabe with this because it was kind of like a textural cross between broccoli and spinach. You have the leaves of the broccoli rabe which cook super nicely similar to spinach, and you have the beautiful, barely-crunchy florets that are small enough not to overwhelm the dish. You NEED those bold colors working together in your recipe life. Do we love gnocchi or do we love gnocchi? Sweet Potato Gnocchi! 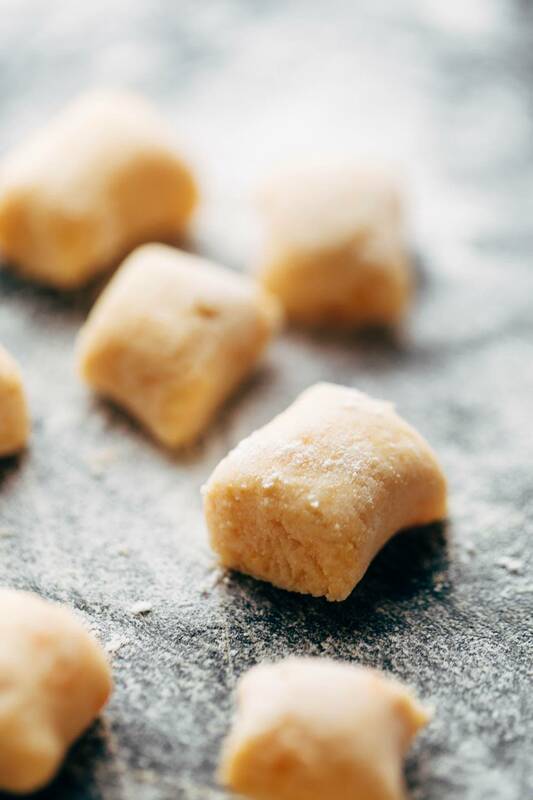 The easiest and best way to make Sweet Potato Gnocchi! Serve it with broccoli rabe and garlic sage butter sauce for a BOMB meal. Thank you to Andy Boy for sponsoring this post! Looks and sounds incredible! Such a well written post as always! Thanks for sharing! Thanks for the comment, Rhian! I love gnocchi and wish I could eat it with abandon, but…way too many carbs and calories and dairy for me. Oh well, I can just imagine how good it tastes. I made this vegan using vegan parmesan and a nut ricotta recipe that will change your life. All very simple if you have a food processor. I found these very light and unlike any gnocchi I’d ever had. It is now my life goal to eat these everyday. This recipe is not very vegan but it looks delicious ! Oh my this looks so good! It’s making me so hungry! Whoops particularly delish!!!! Not selfish.. although I may be selfish and not share any!! I made your regular version of this last night and again for lunch today — so simple, so easy, so delicious! I’ll have to add broccoli rabe to it next time!! I’m not sure what I love more, this insanely delicious looking recipe or the bowl you have said recipe in! I love gnocchi but never made them myself. Looks like this is going to change soon. I like how fluffy yours look! I looked high and low for broccoli rabe recently because it was in another recipe I wanted to try, and I couldn’t find it anywhere! I even ventured away from my usual grocery store to Whole Foods and the specialty produce store and couldn’t find it. It sounds great! Made these tonight and couldn’t have enjoyed more. Light, fluffy, tasty, made without the broccoli rabe. Truly, the best part of my night. I’d recommend these to anyone for any occasion. Delish. Beats most of what I have bought to cook myself or eaten out. Awesome! Glad to hear it, Suzanne! Wow. This sounds killer. Are you saying your dinner club made this gnocchi, and then you served it with those three different sauces? Or did you have other things with the other sauces? Just want to paint the right picture in my mind. Thanks. Love ya. Hi Connie! I think they made standard potato gnocchi – not sweet potato. 🙂 But I think the potato gnocchi was served with all the other sauces! Ok I need this dish in my life! My pregnant belly is definitely liking the look of these carbs hehe and what a great idea to have a dinner club – love it! Oh wow this looks absolutely scrumptious! Thanks for another great recipe. Love these photos as well. 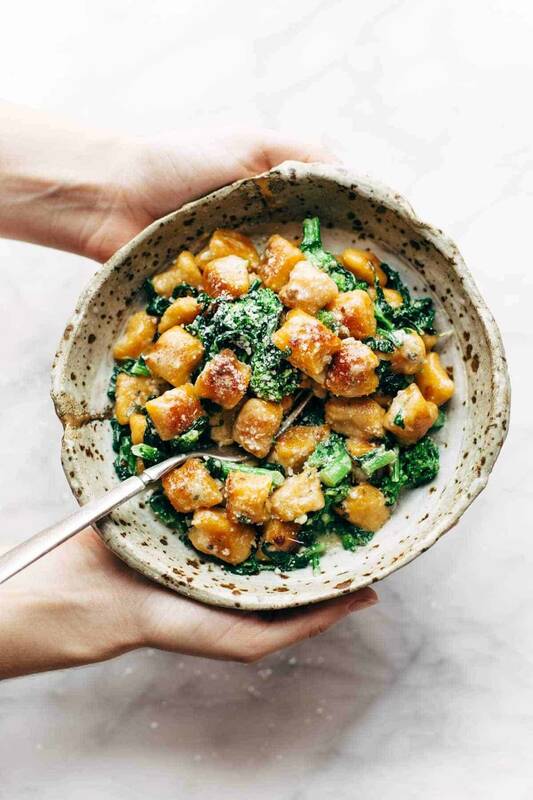 This recipe is so glorious – we don’t have broccoli rabe in Australia/at my local supermarket so substituted normal broccoli and spinach leaves. Have no idea if this is a similar taste but it was wonderful! This looks amazing! Gnocchi is so so good and sweet potato gnocchi is a no brainer combo!!! I am loving this idea!! P.S. we made your smoked salmon chowder last night (It’s one of our faves!) and it was so so good! I made this with GF flour and it ROCKED! Want to impress someone make this! Awesome, we’re happy to hear that! 🙂 Thanks, Catie! I’ve found that gnocchi doesn’t last well in the fridge and becomes very soggy and unpleasant How does this one go if prepared a day or so earlier? I made this recipe for dinner last night and it was delicious. I adjusted the quantities to make enough for two and was seriously impressed with the outcome, given it was so easy.